We strongly believe in supporting the community that supports us. Please visit the charities below that Hamilton Digital has sponsored and make a donation today. Kicks For Kids’ (KFK) mission is to level the playing field for local children at risk. Serving Northern Kentucky, Greater Cincinnati and Southeastern Indiana, KFK offers a variety of unique and exciting opportunities to children, who are challenged mentally, physically, or by the environment in which they live; through a collaborative effort with other local kids’ organizations. A Kid Again helps to restore a sense of normalcy for their child and themselves. 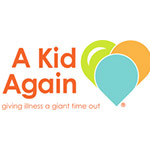 A Kid Again strives to make life for families caring for a child with a life-threatening illness more like “life” again by helping them gain back moments of solace and a sense of control over their circumstances. 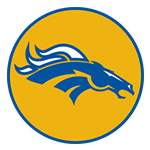 Newport Central Catholic is a place de eply rooted in faith. It is my job to ensure that our students are growing spiritually, academically, athletically, socially, and in any other way each individual is meant. The faculty and staff are committed to seeing each student under our care graduate to become someone who acts responsibly, thinks critically, believes sincerely, and serves willingly. The Charities Guild of Northern Kentucky (CGNK) is a volunteer based non-profit organization. Through fundraising and outreach we focus on improving the lives of children and families in the Northern Kentucky area. Each year we host one event as the primary fundraiser for our organization. The funds generated support the CGNK Shoe Fund, and the CGNK Quarterly Donation Program. 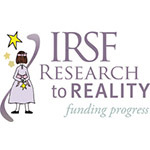 The International Rett Syndrome Foundation will coordinate, cultivate, accelerate, and fund research that will produce a cure for Rett syndrome and reveal and develop treatments that will make the lives of people living with Rett syndrome richer and free of pain and discomfort. 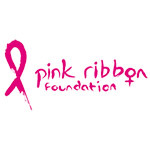 Pink Ribbon is organized exclusively for charitable, educational and scientific purposes. Pink Ribbon International shall create worldwide awareness for breast cancer, provide information, resources, support and guidance for patients, caregivers, providers, and all persons whose lives have been affected directly or indirectly by breast cancer and conduct any and all lawful activities which may be useful in accomplishing the foregoing purposes.